In celebration of the 20th anniversary of a successful agreement, Lockheed Martin and Navantia have signed a memorandum of agreement (MoA) to further collaborate to explore new business opportunities in the surface ships and naval combat systems areas. 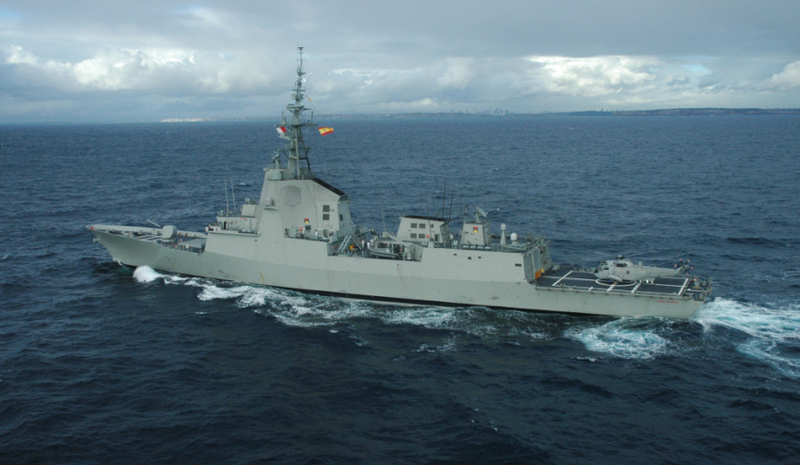 20 years ago, the defence primes agreed to supply the Spanish Navy with the Aegis Combat System for the F-100 frigates. The F-100 was the first frigate to incorporate the Aegis Combat System from Lockheed Martin in a ship of less than 9,000 tonnes. Under this collaboration, Navantia said the Spanish Navy now operates state-of-the-art oceanic escorts, is optimised to act as command ships in conflict scenarios, trained to provide full coverage to expeditionary forces, with high anti-air warfare capability, and has total integration with the most advanced units of their allied nations, as well as a successful case of industrial co-operation, with a combat management system developed by Navantia and the integration of Spanish sensors and weapons. Between 2000 and 2010, Lockheed Martin and Navantia delivered four F-100 frigates to the Spanish Navy, and in 2013 a fifth and final was commissioned. In 2000, the Royal Norwegian Navy selected Navantia to develop and build five Fridtjof Nansen Class frigates, the last of which launched in 2009. After the Norwegian frigates, the Australian Hobart Class was designed, based on the F-100 with an updated Aegis Combat System configuration, the first of which was delivered to the Royal Australian Navy in September this year. Currently, 11 frigates developed by Navantia and Lockheed Martin sail around the globe using this system. Both companies are now developing the frigates of the next generation for the Spanish Navy, the F-110, and collaborating in other commercial opportunities around the globe. "The fundamental openness, trust and transparency between Lockheed Martin and Navantia laid a tremendous foundation 20 years ago to build a world-class capability for the Spanish Navy, the Royal Norwegian Navy and the Royal Australian Navy," said Michele Evans, Lockheed Martin vice president, integrated warfare systems and sensors. "Today, the future remains bright as we look across the world and continue to expand Aegis alongside the tremendous shipbuilding capability that Navantia brings." Navantia vice president Sofia Honrubia added, "With the success of the F-100, Fridtjof Nansen and Hobart programs in our sails and F-110 just in front of us, we are excited to see what the next 20 years of this great partnership between two world-class companies can offer."